The SRH are on a rampage but can they win away from home? The Delhi Capitals (DC) have somehow learnt the art of choking from nowhere this season. Two games which they should’ve won easily, one they took it to the super over and won only due to Kagiso Rabada but the second time, the Kings XI Punjab (KXIP) didn’t give them any chance. 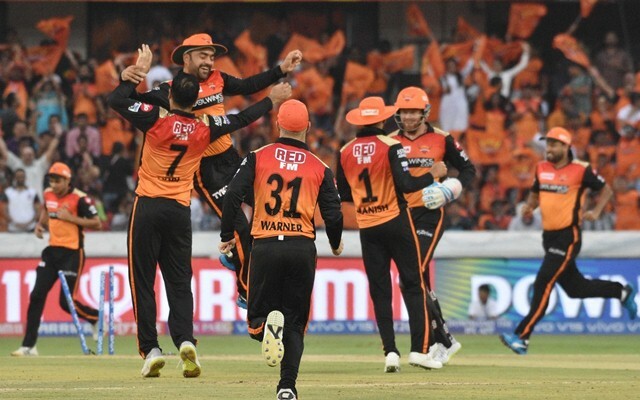 In the 16th match of the Indian Premier League (IPL) they will be hosting the on-song Sunrisers Hyderabad (SRH) at the Feroz Shah Kotla stadium in Delhi. DC endured one of the worst collapses in the shortest format losing their last seven wickets for just eight runs in Mohali. They would like to forget that game quickly and concentrate on the upcoming clashes. They have won only two out of the four matches so far and gave away good positions in the games they’ve lost. The team is looking far better than the previous seasons but will have to play a flawless game to go past the rampant Sunrisers. The SRH are in some amazing form at the moment and their top-order is doing the bulk of the scoring. David Warner and Jonny Bairstow have registered three hundred-plus opening stands in as many outings. But their middle-order remains untested which collapsed against the Rajasthan Royals (RR). They will have to be prepared in case the openers fail on the day. The Kotla pitch witnessed a thriller in the previous game and another high-scoring game is on the cards now. The spinners might get a fair bit of assistance again. The sun will be out for the whole day with the temperatures hovering in the high-30s. In the evening, as usual, it will cool down a bit and the dew also might come into play. The home team might look to strengthen their spin attack as they come back to play at the Kotla. It assists spin and in that case, Axar Patel and Amit Mishra should come back with Sandeep Lamichhane already in the team. Hanuma Vihari hasn’t been able to force the pace batting at six and he along with Harshal Patel should make way for the two spinners. The batting line-up doesn’t change but Chris Morris will have to shoulder more responsibility at six. Probable XI: Prithvi Shaw, Shikhar Dhawan, Shreyas Iyer(c), Rishabh Pant(w), Colin Ingram, Chris Morris, Axar Patel, Rahul Tewatia, Kagiso Rabada, Sandeep Lamichhane, Ishant Sharma. There is no reason to change the team for the SRH even if their regular skipper Kane Williamson is fit. Mohammad Nabi will definitely play after his four-wicket haul against the RCB. Delhi also has as many as four left-handers in their top five. The likes of Deepak Hooda and Manish Pandey haven’t got an opportunity to make an impact so far. Probable XI: David Warner, Jonny Bairstow (wk), Vijay Shankar, Manish Pandey, Deepak Hooda, Yusuf Pathan, Mohammad Nabi, Rashid Khan, Bhuvneshwar Kumar, Sandeep Sharma, Siddarth Kaul. 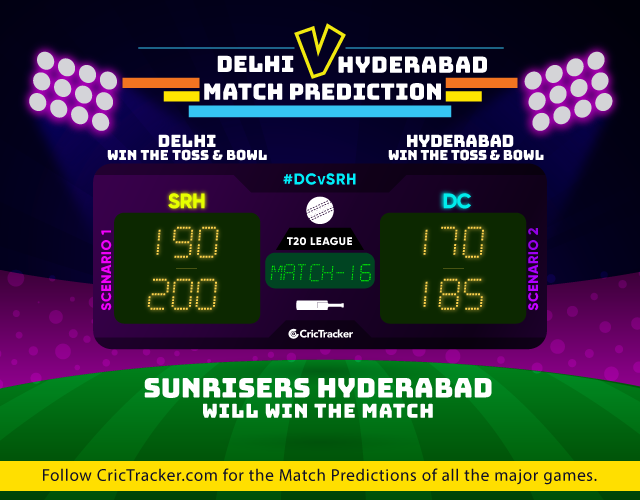 The prediction is for the Sunrisers Hyderabad to win the match.